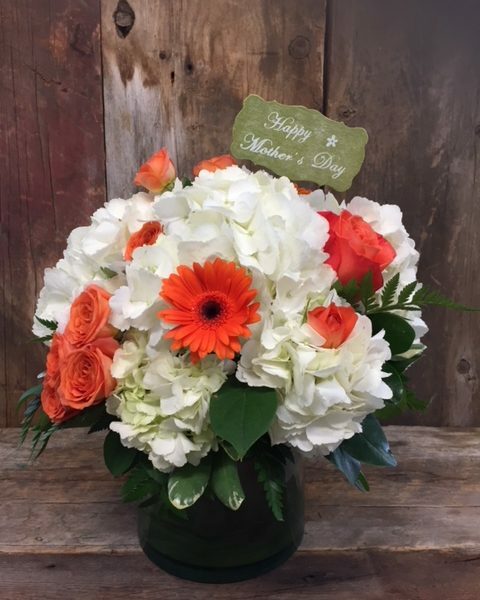 If your mom is one of a kind – then this lovely arrangement is for you! We have taken one of our best selling designs and ramped it up with bright orange blooms! A large glass cylinder is filled with beautiful spring hydrangea, gerberas, roses and spray roses. Wow! It’s an instant classic and it’s bright and fun.